Two brothers from Cordoba are facing prison sentences and a fine of ten million euros for hiding two Roman bronze statues of the first century in a farm in Pedro Abad, a small town located in the Spanish province of Córdoba. The case was uncovered by the Judicial Police of Jaén in January 2012. 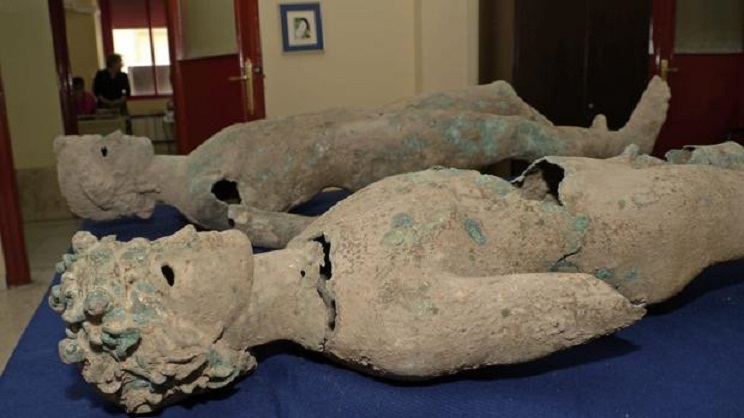 Agents of this specialized unit located and recovered the two looted Roman bronze statues two months after they were hidden in the Pedro Abad property. The statues, possibly a sculptural group of Castor and Polux, were evidently looted from the Cordovan site of Alcurrucén, an area once occupied by Roman villas and cemeteries. According to the authorities in charge of the operation, the two brothers intended to sell the sculptures on the black market by taking them out of Spain to Italy where the statues could be ‘certified’ and released to an auction house. The Environmental Prosecutor’s Office of Cordoba has charged the two brothers with the crime of misappropriation and the attempted smuggling of historical heritage and is seeking penalties of two years and two months imprisonment for each of them, as well as a fine of 10 million euros with an additional one year’s imprisonment in the event of non-payment. 2017-10-23 in General, Illegal excavations, Selling of unprovenanced items.